Kansas dominated Rutgers on Saturday. They did what they haven’t done since 2011: win back to back games. I don’t think I am very good at this “predicting games” stuff. For the third week in a row, I incorrectly picked the flat-out winner of a Kansas football game. I didn’t think KU would come out and do whatever they wanted against a supposedly good Rutgers defense. Rutgers’ Art Sitkowski looked like a true freshman quarterback, as KU’s defense forced him into mistake after mistake. It was a great way for the Jayhawks to induct Todd Reesing into the Kansas Ring of Honor. There are a ton, but the one I want to start with is the running backs. In the days leading up to the game, Rutgers’ staff mentioned Pooka Williams as a focal point of Kansas’ offense. They couldn’t stop him. 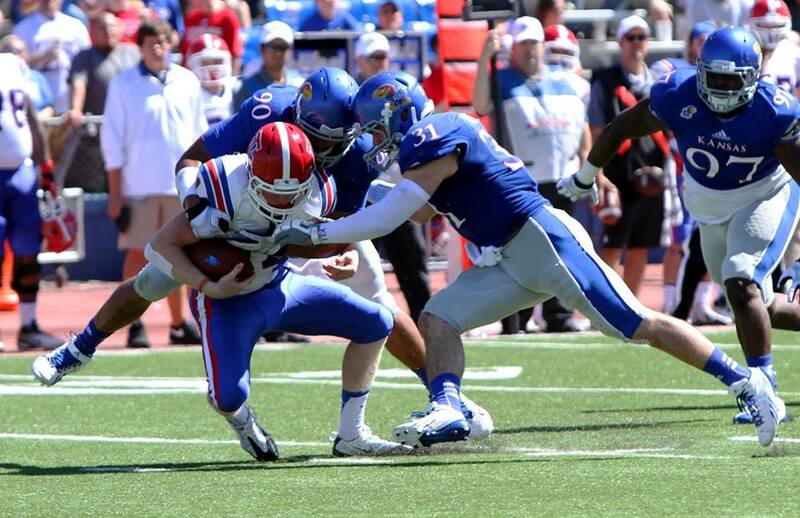 In fact, they couldn’t stop any of the Jayhawks’ running backs. KU gashed Rutgers for 400 yards with Pooka, Khalil Herbert, and Deron Thompson all breaking off huge runs. Say what you want about this coaching staff, but Tony Hull is doing many things right. 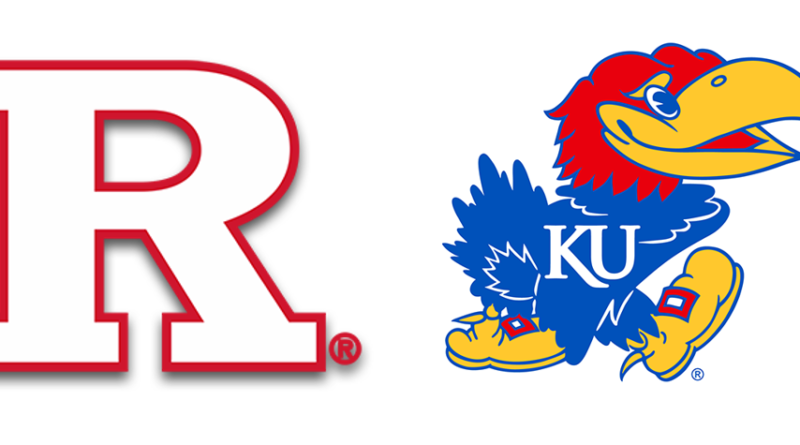 On defense, KU slowed the Scarlet Knights’ dynamic running back Raheem Blackshear. The stout run defense, combined with an early Kansas lead, forced Rutgers to rely on their true freshman quarterback. Just as true freshman do, Art Sitkowski made a multitude of mistakes. It was awesome to see Mike Lee get his first career pick six and turn in one of the top PFF performances in all of college football. The secondary has been a major improvement for KU this season after their putrid 2017 campaign. My only true negative from Saturday’s game was the kicking unit. One blocked kick is whatever, but two blocked kicks is a problem. Strangely, Rutgers has the most blocked kicks in the country since 2009. KU, who has looked great on special teams prior to Saturday, will need to tighten up as Big 12 play starts. Life is great in Lawrence. Kansas football has won back to back games in dominating fashion. They lead the nation in turnover margin and the defense is a top 25 unit according to S&P+.Pooka Williams and the offense looked like a well oiled machine, gashing the strong suit of a Big 10 defense. All of that said, KU’s biggest tests are ahead. Baylor is the first top 75 team KU will play this season. Turnovers, unfortunately, are known to regress towards the mean over the course of time. The Jayhawks need to play even better than they did on Saturday if they want to continue their winning ways. I hope they continue to make my predictions look bad.